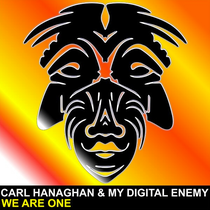 Out as an exclusive on Beatport on 17th September, this is a seriously good tune from Carl Hanaghan & My Digital Enemy. ‘We Are One’ is their latest collaboration and has already been receiving good support from many of their peers, including Cedric Gervais, Jason Chance and BBC Radio 1’s Danny Howard. With a driving bassline, the track darts along, pulling you in its wake in its drive to peak-time status. Once it hits its breakdown, synths, effects and a very catchy piano start to bounce off each other, combining to create a great build up in preparation of the beat bouncing back in. When it does, the track’s flying with its very salsa-styled keys overlapping the bassline. You can hear why this has been a biggie below, we’re liking it a lot. Hello to every , since I am genuinely keen of reading this webpage's post to be updated on a regular basis. It carries good material. Every weekend i used to pay a visit this web page, for the reason that i want enjoyment, for the reason that this this web site conations genuinely good funny data too.